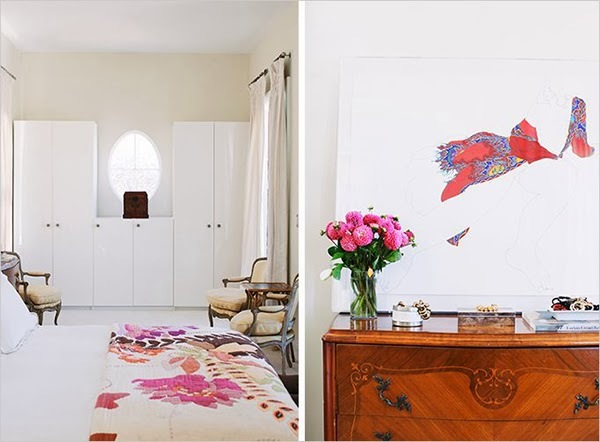 While you all will not get an interview from a respected Interior Designer today, you will get some lovely examples of great rooms and designers you might want to keep an eye on. I felt like I was interviewing myself a bit in trying to decide what looks I did or didn't like. Rue Magazine is a great source for getting to know other designers and creatives. Design Sponge is also a good place to start. 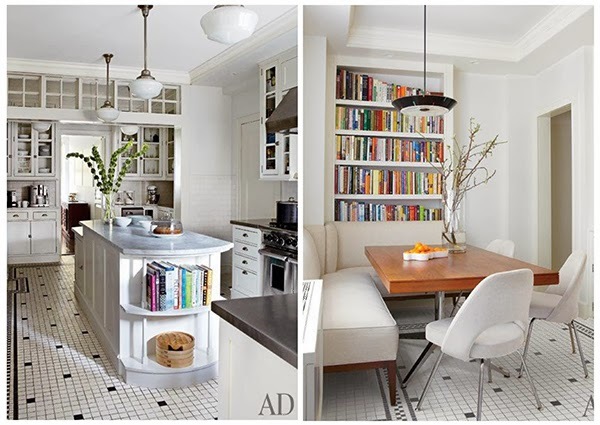 Design Sponge has a number of "do it yourself" helpful ideas and tips that can help you create a designer-inspired home. Rue had a fantastic piece or two of how to create great looks and user-friendly rooms in tiny spaces. All I could think about was how much was packed into our 200 sq. ft. Greenwich Village apartment this summer. It is amazing how you can get used to having so little. It was a great experience for me. You should try it! Now that I have talked about trying a small space on I am going to show you a few large rooms with minimal clutter or decor. Along with a space or two holding a few more items. I like to think that I can live in a space with few things but then I think about my craft shelf and kitchen must-haves and fear it may not be possible for me. Such an American. Gotta have everything I want around me all the time. As always, for image sources or more ideas follow us on pinterest! 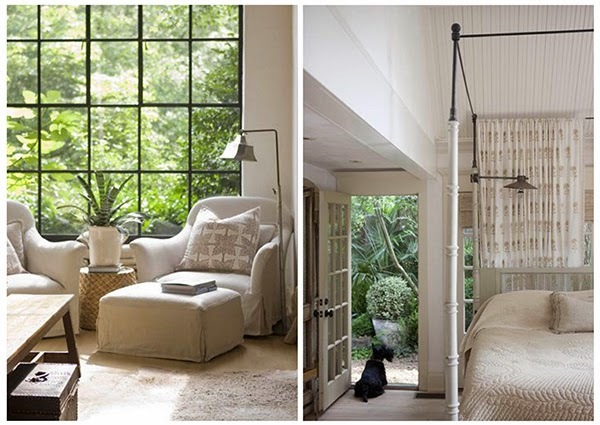 I am such a sucker for massive, large pane windows. Jill Sharp Brinson - Jill tends to marry modern with farmhouse. Most of the time I enjoy this until rooms become too cluttered. 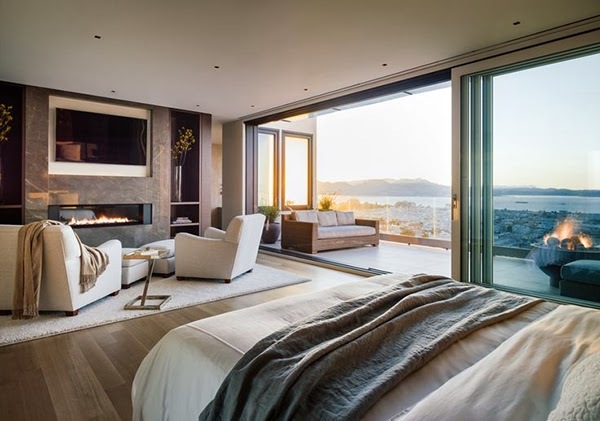 These rooms look just right for me. I might even take little Scottie pup. Barbara Hill - Natural light everywhere. My favorite. 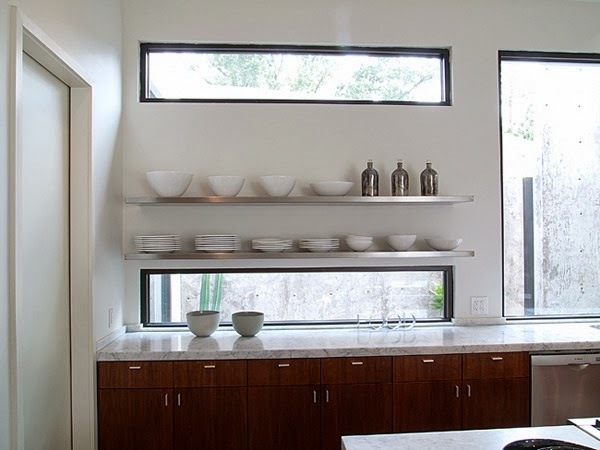 Barbara Hill - A Southwestern minimalist designer I found in the pages of Dwell magazine. I love to imagine myself living in an ultra modern, clean lined home with big views. 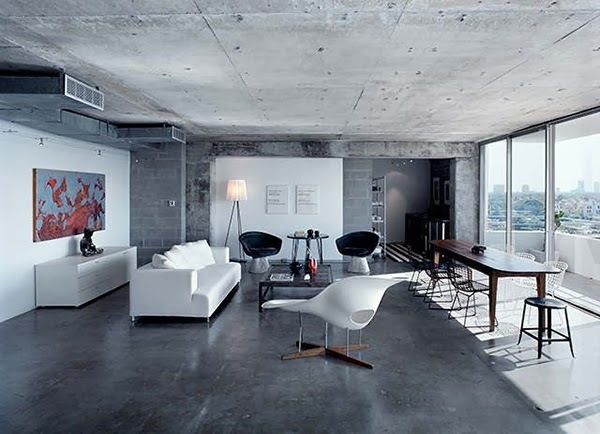 I can't imagine what the acoustics are like in this room and that worries me a bit but I love the look and idea of the space. Soledad Alzaga - Rue Magazine - This room stopped me in my clicking tracks. 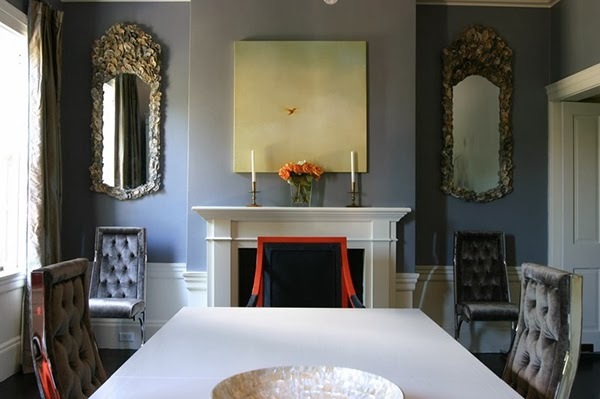 The shade of gray, the texture of the velvet and the oyster mirrors, and the leading lines of the chair at the head table leading you to the most dream-like minimal painting above the mantle...everything works in this room for me. There is hardly anything in this room but you don't feel that way; yet you don't feel overwhelmed. Soledad Alzaga - Soledad is a San Fransisco based designer who is originally from Buenos Aires. She is easy to keep in touch with online and even shares her work on Pinterest. Soledad Alzaga - This is a design featured in Rue Magazine. I just feel like she places emphasis in THE area of the room that deserves it the most. And the pops of color here and there. I just can't get enough. Finishing the post with one last "punch" from Soledad. Sorry, I had to. 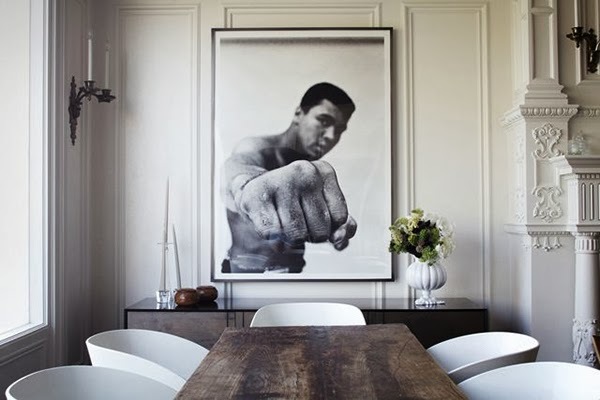 I mean, who would thing to place that bold of an image in a space so classic and romantic? I would never but oh how perfect it is! What a fun space to host people in.